Restoring iPhone, iPad to default settings with iTunes is helpful in fixing almost all kinds of iOS problems. Thus iTunes is always the first choice for iDevice users when their device gets stuck, slows down or any other issue. But what if iTunes goes wrong, what could you do? Below we will show you some possible situations you may come across and the potential solutions to fix “iPad won’t restore with iTunes on iPad Pro/Air/mini, iPad 4/3”. Below are some of issues that commonly happened when trying to reset iPad to factory settings and then affect the restoring process. “iPad could not be restored error” is always reported by a lot of iPhone, iPad users. When you try to restore your iPad after update or jailbreak due to the instable iOS, it is possible to receive the iTunes error message with saying “The iPad could not be restored. An unknown error occurred (-1).” or any other similar error, like iTunes error 3004, error 39. You will see this message of “iTunes could not restore the iPad because the backup was corrupt or not compatible the iPad that is being restored” when the backup available on the Mac or PC is corrupt or incompatible with the device that you are trying to restore. There might be something wrong when you make a backup with iTunes. A lot of users also reported that iTune won’t restore iPad since have the device updated to the latest iOS 11.2.1/11.2/11. The iPad will not be recognized and keep asking you to connect to iTunes. Then all this means that iPad won’t restore from iTunes. You may also encounter the “iPad won’t restore in recovery mode” issue, which means iPad restore failed and it gets stuck in recovery mode, this will lead to your device won’t finish restoring from iTunes. If you have experienced any one situation we listed above, then these solutions might be helpful in fixing iPad not restoring with iTunes problem. Just finding out the right solution below according to your situation. 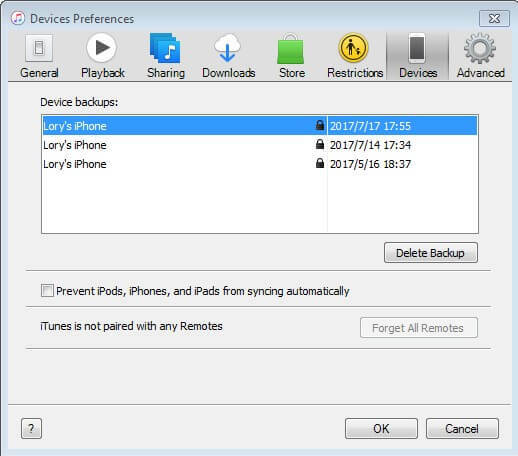 When you attempt to restore your device using iTunes, please make sure you are using the latest version of iTunes installed on your computer, this simple update can fix a lot of issues related to iTunes. Step 1: Download TunesCare and click “Fix All iTunes Issues” to fix your iTunes on computer. Step 2: Click “Repair iTunes” to start downloading iTunes drives for repairing. Step 3: After downloading the repairing drives for iTunes, the repair process will kick off automaticall. After repairing, TunesCare will prompt you that iTunes is repaired successfully and your iTunes will automatically restart. Now you can retry to reset your iPad to default setting from iTunes. Connect your iPad to computer via USB cable and select "Repair Operating System" function on the main interface and hit “Fix Now” to proceed. 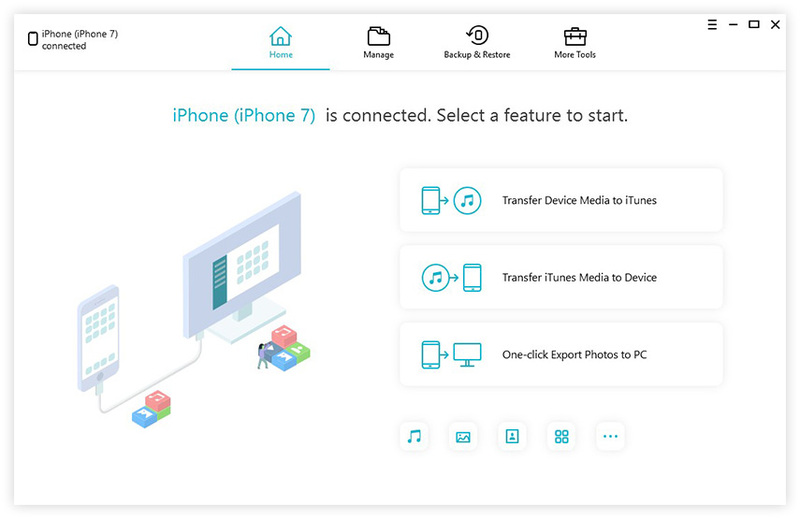 When your device is detected by Tenorshare iCareFone, click “Download” to download the matching firmware package before repair. Then click “Start” to start the iPad restore. 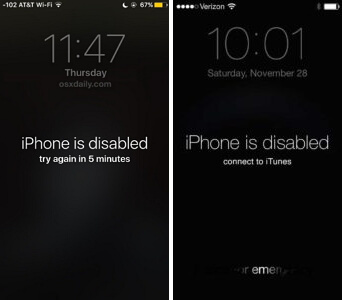 After all these, you will notice that, your iPad has been restored to the default settings. This is all about how to fix “cannot reset iPad to factory settings using iTunes”. If you have any other solutions, please feel free to leave comment in the comment section.